A Year of Being Here: Carolyn Locke: "What the Rain Left Behind"
the lip of its hull sipping holy water. "What the Rain Left Behind" by Carolyn Locke, from The Place We Become (forthcoming from Maine Authors Publishing, Spring, 2015). Presented here by poet submission. 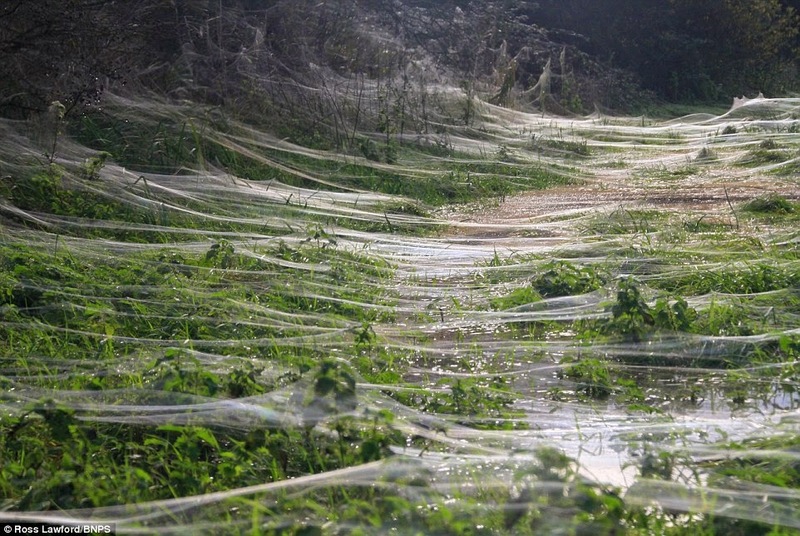 Art credit: Untitled photograph of the veil of webs left behind by money spiders escaping a flood in East Sussex, England, by Ross Lawford/BNPS.